The funds will be used to secure talents and especially to rapidly expand the engineering team and to bring the product to its first wearable version. Indeed, Biowatch aims to deliver a first series of pre-production products this year to its clients to prove the viability of the product and business model. Mr. Matthias Vanoni, co-founder of Biowatch SA, said: “Our partners are looking forward to having functional and wearable prototypes so they can test it in a real-life situation. This is a big step for Biowatch’s team as it will give our project more visibility and credibility”. Biowatch is currently working with major actors in the access control domain, automotive industry, banking industry and in the watch industry to integrate its technology. 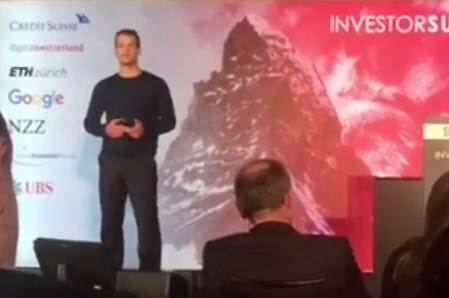 Biowatch announced during the investor summit organised by the Swiss Economic Forum on January 16th ( video here ), the opening of the next round of financing, Series A, now available for investors.